I started this thread to get some current 2016 updates as to what Brand and Model of skates people are rolling with and why they made that choice? I'm new to skating (fitness & fun) and want to purchase some good skates for use on a 35 miles bike trail and around the University and such. More than that, I'm curious as to what everyone currently likes as far as skates go? Personally, I have my eye on some Seba High Lights. Thanks everyone! I have rollerblade igniter 100's, they good, quick and a lot of support. Only draw back is they have 2 different size wheels on the skate, not digging that. I have been skating for 2 months now, need to get my ankle strength up before I get some race skates. Most likely I'll be looking at bont, but need to really research some stuff before spending that kind of money! I'm still rolling on my circa 2001 K2 Mod 8s, with 4x80mm. They had been sitting in the closet the past 8 years, and I dug them out at the beginning of this season, wanting to get back into it. I really like the way the boot fits, but I sure am tempted by all the new hotness of 100mm wheels, figure they must soak up the bumps much better than my old 80mm setup. BUT, every time I skate with others, I get comments like "what wheels are you on?" "old 80mm" "man, you are fast on those things". So for now, sticking with what I got! I went the custom route after spending more than the cost of the custom boots on different shelf boots that made my feet hurt. After 5 different boots came and went (usually selling at a 40-50% loss due to being used), I saved up the then $1200 price for the Simmons customs. Unfortunately, his customs are now $1600 and other competitors are similar: Pinnacle (start at $1400), Kaiser (start at $1250 w/ molding), and Marchese ($2000). I do inline short track and some outdoor skating (no competitions to my name yet), but if you put a lot of time on your skates and can afford to do so, using a custom boot is well worth the price paid. I have been very impressed with my Powerslide Swells. Great fit and comfort, great response. good price, zero complaints. I they would be a perfect fit for you. Marchese is $2000? Ow! I always thought Simmons was the most expensive. I stand corrected! I try to get a one skate per week in nearly 11 year old very well worn Wolf Racing boots, also custom. They are relatively floppy so it helps ensure that I retrain my balance rather and not get too dependent on the very stiff Pinnacles. Every other week, I do Friday Night Skate in a pair of Twisters. It saves punishment to my feet as well as gives me more of a workout. When I acquired these skates nearly 10 years ago I intended to use them to learn stairs, something not advised in speed skates. Alas, this still hasn't happened. I've got some 3x125mm that are silly.. I've got some 4x80mm powerblade frames with light up wheels that are snazzy. But my daily grinder is that 72mm setup. I'm curious as to what everyone currently likes as far as skates go? Been drooling over this model for years. I skate distance for fun and some freestyle slalom. No problem skating 35 miles sessions on fitness trails or carving up traffic in the city. I just got my new skate today and put an unboxing and review videos on youtube. You can take a look and ask me questions. 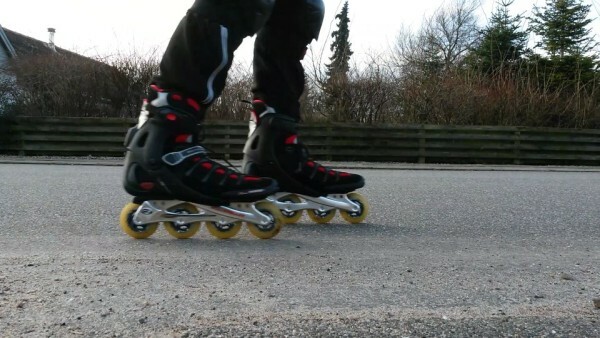 Some times I use my customized BONT Z speedskate or the Rollerblade GT speedskate to skate in the community. If you specifically only want to know skate models of 2016, I have no experience at all. But I can tell you there are some good 2015 skates under discount price and performance are very good. Last edited by everest; July 6th, 2016 at 10:35 PM. Reason: add on the link of my video. And I still do not know how to post a picture without using web pictures. Most time I skate with my SEBA FR2 with 80 mm wheels because I like their good ability to turn etc. when I'm skate at the streets between cars. Speed skating with bigger wheels is not for me, because I'm afraid of too much speed. 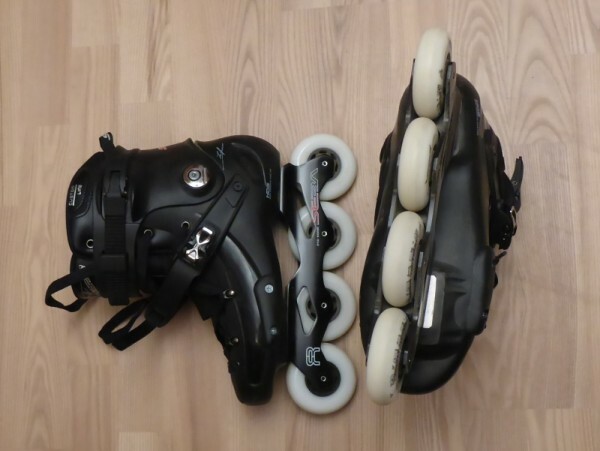 I also have a pair of Rollerblades, that I have mounted 84 mm wheels on. Hello everyone!! I regularly use Mission Inhaler D7 (roller hockey skates) with Labeda Asphalt wheels, using Hi-Lo frames (2x80mm+2x40mm) and bearings that came with the skates. Also have Bauer Vapor RH X40, same frame and bearings, but I didn't change the wheels on this (Hi-Lo HL3), because I want skate with these on smoother surfaces than gritty concrete of the park. I've discarded insoles on both pairs and replaced with Shock Doctor skate Insoles (works nice for me on Roller and Ice hockey skates). I'm not play hockey, just love the sport and love skate too. I got intentions to get urban skates not for slalom or fancy stuff but for transportation in the city. Bah. I have size US13 feet so currently I'm in a pair of Rollerblade RB80s. I never imagined that as I got back into skating that I'd have a hard time finding well-fitting skates. What the hell, have my feet grown in the intervening 20 years? Actually...I was thinking about the same as you. However, after I got speed skate....I realize that things are reverse than what I think. Bigger wheel means more speed is true, BUT it only happens when you have certain momentum and when you are on downward condition road. Otherwise, you actually do not get that much speed with regular strike. By the way, I was thinking to get Seba High Light, but they only focus on the majority western people feet size....long and narrow....so....I cannot use their skate due to my wide and thick feet. Last edited by everest; August 17th, 2016 at 01:21 PM. And, if you have not yet get a new pair for urban skate transportation, I will suggest you look into K2 or Roller Blade and Roces, just NOT PowerSlide. I say this is because Power Slide has the WORST after sale service and customer service. Saying "WORSE" is already being kind, because they actually just DO NOT RESPOND AND DO NOT CARE.